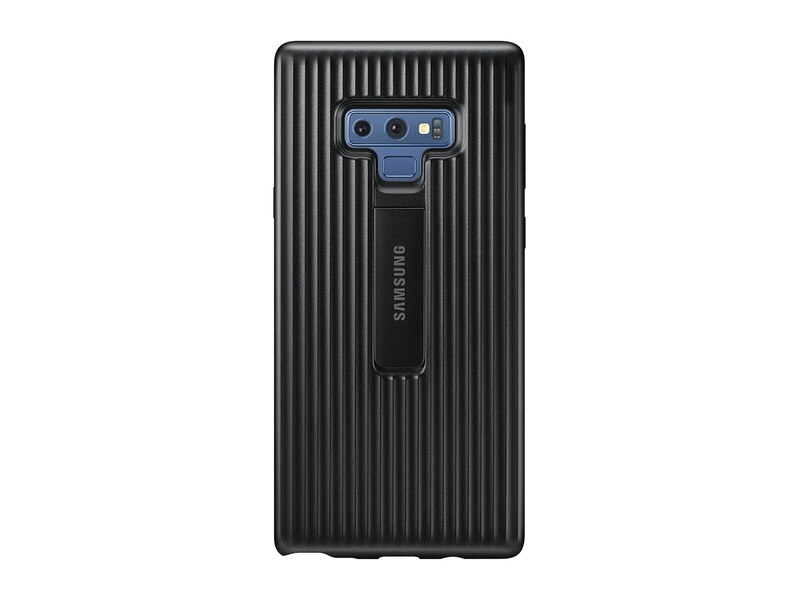 Drop tested to military standards, the Samsung Galaxy Note9 Rugged Protective Cover deflects and absorbs most impacts to minimize damage to your phone. In addition, the kickstand lets you get the most out of your infinity display. Help defend your new Galaxy Note9 against damage caused by drops and falls. The Rugged Protective Cover has been drop-tested to provide outstanding protection. *Tested using U.S MIL-STD-810G METHOD 516.6 procedure.